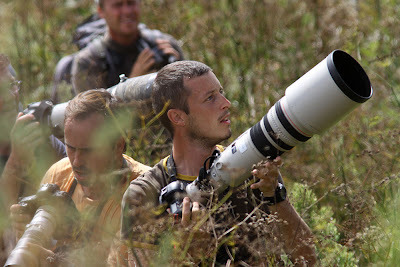 Went birding with Simon today since he's leaving tomorrow. Did Pico all morning but once again without finding the White-eyed Vireo. It has to be in there somewhere! We were supposed to meet at the bridge over da Ponte for lunch at 12 and so we did. But instead of lunch we got a message with German touch on our Walkie Talkies: "Norsern Parula at se Power Station"
Simon immediately tried to phone Pierre (but failed) and started to walk towards the place. Since I had seen one last year in Cantinho I walked back a few hundred meter and radioed out the news to the others in the northern valleys before I left. 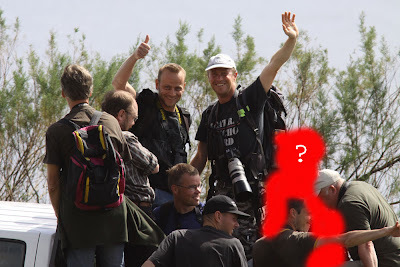 Soon we met Swedish birder Stefan Ettestam who had found the bird (new point to Sweden Pete!!!) and he explained where the bird was and even showed me some pictures of it. Moments later a car passed us and we got a lift all the way to the site - perfect! It didn't take us long before Martin relocated the bird. And what a bird! And what views! 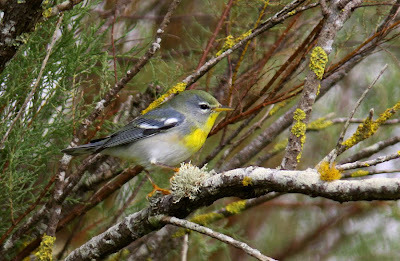 Birders continued to drop in and soon everyone had seen the bird - fantastic since we are almost 30 birders here now! 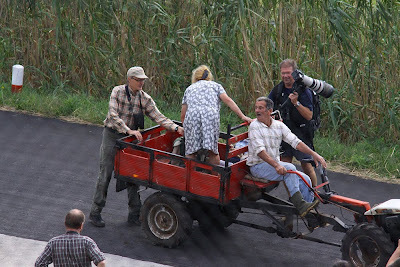 Swedish birders Per Forsberg and Jan-Michael Breider also managed to get a lift to the Parula. Fred, Ward and other happy people going back up to the valleys after a successful twitch. Went back up to Ribeira da Ponte with Simon and kicked it all afternoon without seeing anything at all. But still it felt really exciting to bird today! New birds have apparently come in and all valleys are worth checking carefully again.